It’s time to escape the city and leave for a holiday in nature, where you can discover the flavors of the land, the inhabitants of a sustainable farm, the views that take your breath away and the stars that light up the night. Are you are looking for a comfortable self-catering family accommodation elegance and luxurious vacation style in Chania, Crete? 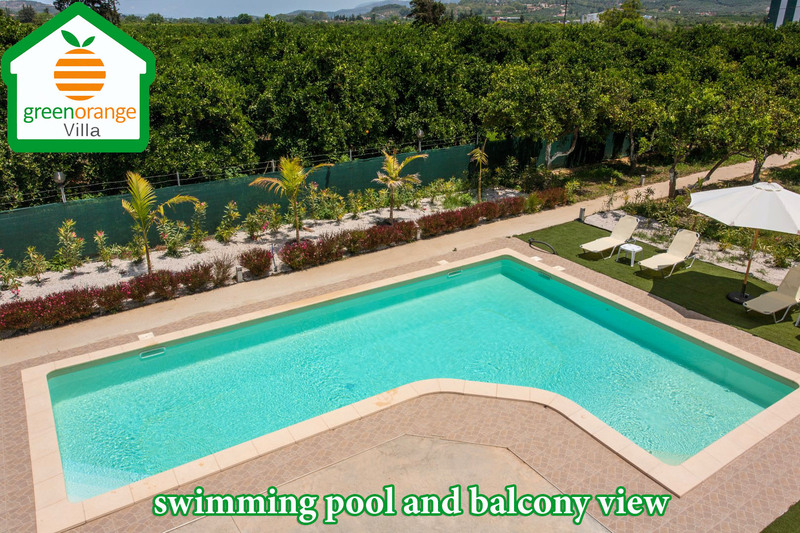 Then the Green Orange Villa is the ideal place for a pleasant stay with family or friends. Green Orange Villa is one of the most luxurious farm lodging villas in Crete. Green Orange Villa expands in a plot of 4660sq.m right in the middle of magnificent orange tree grooves and lemon forests. The villa itself is located in a private 2.250sq.m plot, surrounded by beautiful gardens and young fruit trees. Green Orange Villa is engulfed in the heavenly scent of the orange and avocado blossoms wafting from the certified organic trees of the villa. The dense organic orange and avocado trees combined with a spectacular flower garden add an ethereal beauty and simplicity to this exceptional vacation rental villa in Chania, Crete. The villa itself offers an open concept living space where you have your own private garden and a private stunning pool ingeniously orchestrated to create a feeling of understated elegance and luxury. Green Orange Villa is located in the traditional village of Koufos, near the famous village of Alikianos next to the beautiful Lake of Agia, just 12km from the charming city of Chania, Crete. The Agioi Apostoloi village and the well-known Golden Beach is almost 8 km away while the Platanias seaside resort is just 8.5 km away. The breathtaking Green Orange Villa is the ideal starting point to explore Omalos plateau (35 km), Samaria Gorge, the charming old city of Chania with its Venetian Lighthouse (11 km). The nearest airport is Chania International Airport, 22 km from the property. The Green Orange Villa's philosophy has been to constantly aim at raising the quality of sustainability in vacation principles. We have designed Green Orange Villa with the discerning traveler in mind, the visitor that is looking for a luxury accommodation in Chania combined with eco-friendly values - beyond the standard amenities one can find in most hotels in Chania. 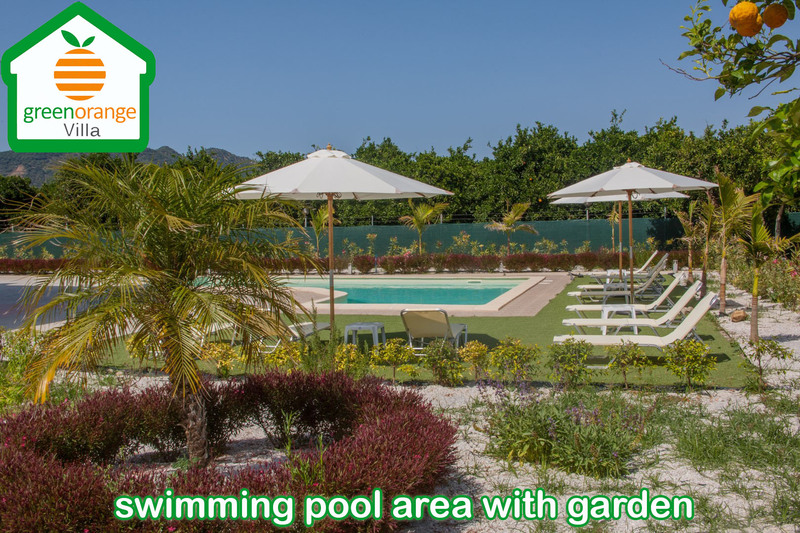 On the Green Orange Villa premise, it’s just you, your family, friends and the nature besides our caretaker who manages the daily work chores. For the travelers who associate luxury with the sense of authenticity and sustainability, a touch of premium accommodation design and a personal contact with the rhythms of the Cretan nature, Green Orange Villa will be the right place. 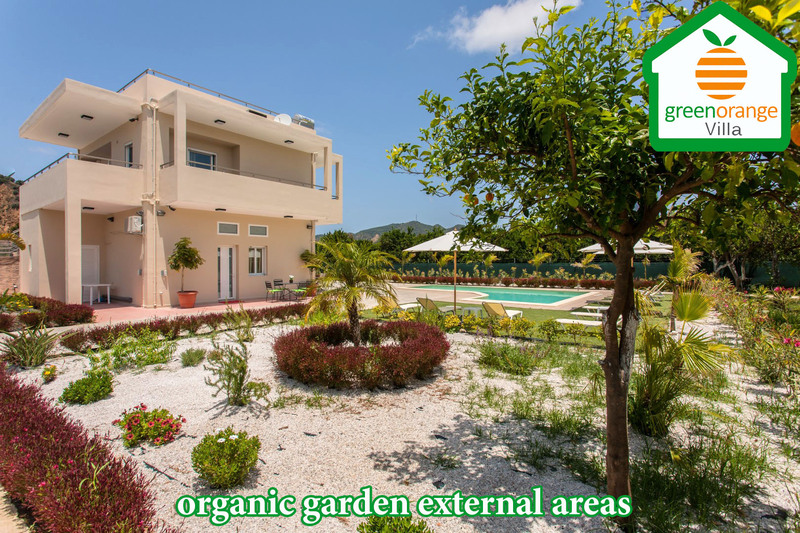 The Green Orange Villa's farm contains amazing Cretan and Asian birds like colorful pheasants, flies ducks, geese and may other interesting species which all are naturally raised. At Green Orange Villa apart from our bird’s farm we focus on establishing soil health by feeding the soil through organic matter and mineral soil amendments. We do not apply any pesticides on the soil, no fungicides or insecticides. Here you can learn about the ways to grow your soil, create an organic garden and discover cool facts about our heritage farm animals. 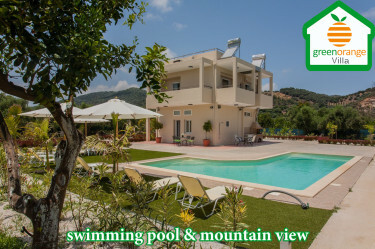 Green Orange Villa is an official licensed tourist lodging by Greek tourist organization with license number (MHTE 1042K133K3091701 ). Watch our videos bellow to discover more about the Green Orange Villa’s services and amenities. Green Orange Villa is a stunning super luxurious, air conditioned villa located in the heart of Koufos village just 11 km from the charming city of Chania and within walking distance of the beautiful lake of Agia. 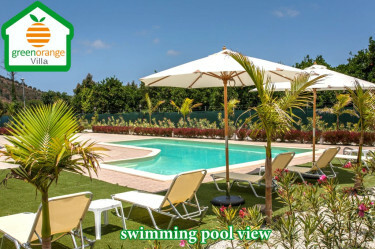 The lovely Green Orange Villa which is one of the most elegant and beautifully furnished large villas in the region of Chania can accommodate 10 persons and from its premisesm, guests can have a fabulous vacation. Hover your mouse on one of the images below and then click on calendar icon to check room's availability or magnifier icon to learn more about this room or reserve it online. We invite you to visit us! Different, inspiring and eco-friendly holidays at Green Orange Villa! It’s time to escape the city and leave for a holiday in nature, where you can discover the flavors of the land, the inhabitants of a sustainable-organic farm, a stunning swimming pool, the views that take your breath away and the stars that light up the night. Are you are looking for a comfortable self-catering family accommodation elegance and luxurious vacation style in Chania, Crete? Then the Green Orange Villa which is located only 12 km away from Chania is the ideal place for a pleasant stay with family or friends. Green Orange Villa is the perfect vacation destination for eco-conscious families, friends and companies to explore the beautiful beaches and hiking trails of Chania. 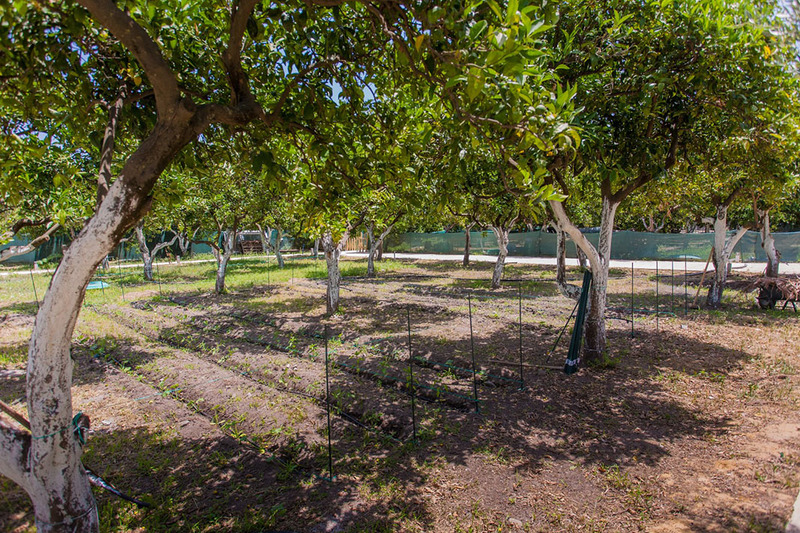 Moreover, guests may choose to incorporate birding, guided nature walks, off-site excursions or discover our organic fruit trees that include orange, lemon, olive, apple, pear, fig, peach, almond, walnut and several other trees. From our bird’s farm, numerous endogenous and exogenous species of birds (colorful pheasant, fly ducks, geese, and chickens) and bird life may be observed, studied, taught, and enjoyed by lovers of nature. Proceed to your reservation now!